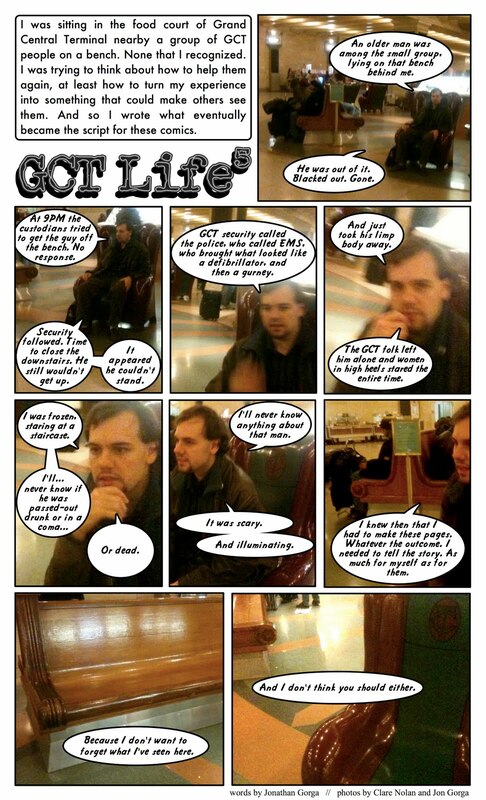 COMICSMITHY: Gorga's Thoughts Neuf: "GCT Life 5"
Gorga's Thoughts Neuf: "GCT Life 5"
Next month comes a wrap-up, with some answers and a few more questions. Can't wait to see how you finish it. Wow - I am impressed with your photocomic. BTW, it's me, Max West. From the GAG holiday party. As I was saying, keep working on these. Is there any chance you might compile these into a book?